Somerville, Mass – This is a follow-up to my post about places in Connecticut, Rhode Island and Western Mass that I intend to return with the twins. I have since spent a week or so doing research on Cape Cod and the islands–mostly traveling solo–so here is my list of places in Cape Cod to return en famille (although we have actually taken the twins to several of these places over the years). Heritage Museums & Gardens, Sandwich. 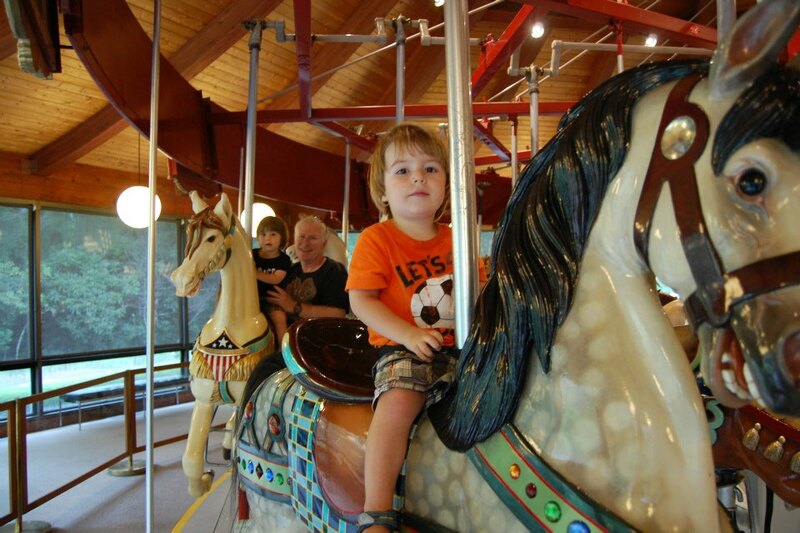 We went here when the twins were two so they could climb on the old cars and ride the carousel. It was fun then (not to mention beautiful). They have since added some awesome outdoor play areas. Hidden Hollow is like a playground, but better. The setting is gorgeous, and it’s equipped with real, natural stuff to play with, like stumps for climbing, logs for balancing, water for splashing and gardens for digging. There’s also a brand new Adventure Park, which includes aerial trails and ziplines. Woods Hole Science Aquarium, Woods Hole. This is not the snazziest aquarium you’ll ever visit, but it is FREE! All the creatures on display are native species, so the kids are learning about the habitats around them. The open work area is also cool, as it means that the public can see the staff at work, as they prepare the food, clean the tanks and otherwise take care of the animals. Yarmouth All of it. From what I could tell, Yarmouth is a collection of mini-golf courses, batting cages, trampolines, bouncy houses and water parks, strung out along MA28. The Cape Cod Inflatable Park is unlike anything I have seen. The twins were in the car, and we drove past as fast as possible, lest we never get home. Wellfleet Drive-In, Wellfleet. Maybe the youth of today will not appreciate the thrill of watching movies from the car. But I’m pretty sure my boys will–as long as we overcome the logistical challenges of how they can see from the backseat. Also, at this point they would probably watch the first 10 minutes and not much more, since the movies start well after their bedtime. Alas, the drive-in might still be a few years off. Cape Cod Bay Tidal Flats, Barnstable, Brewster and other places. 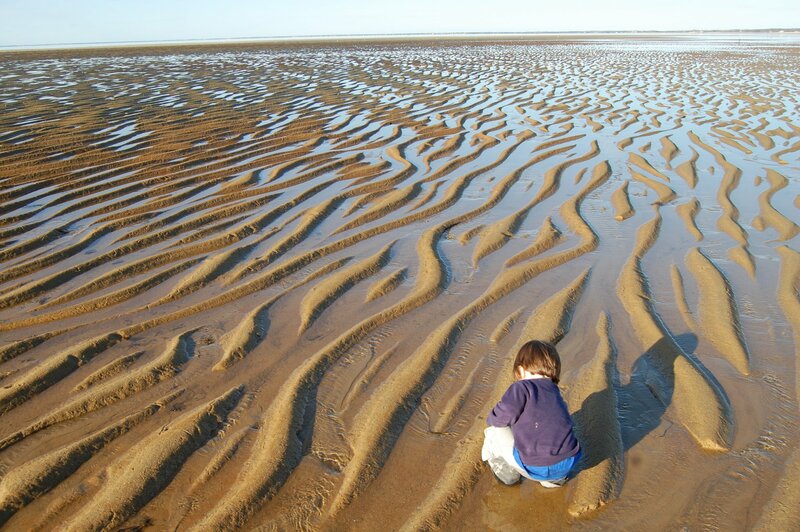 One of our favorite activities on Cape Cod is to explore the tidal flats at low tide. The twins love to splash around and search for seashells, crabs, clams and other creatures–the treasures they find!